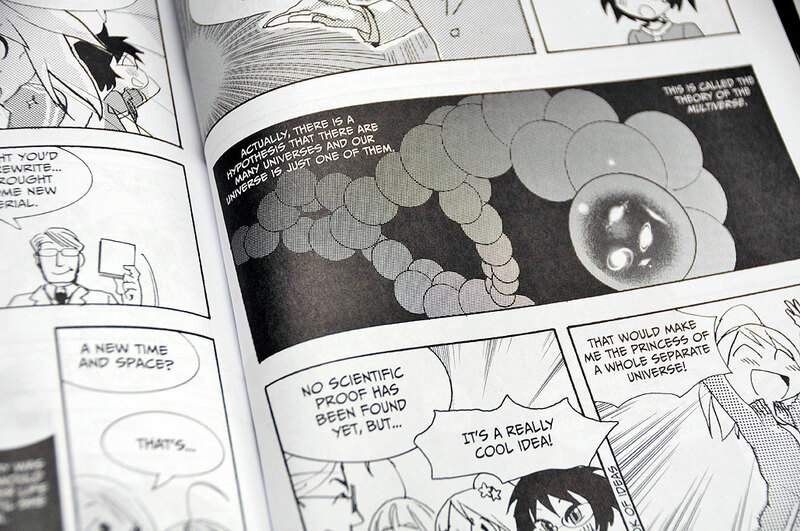 We have read a few of the books (Electricity, Molecular Biology, Databases) in the Manga Guide collection and have found them to be both entertaining and educational. 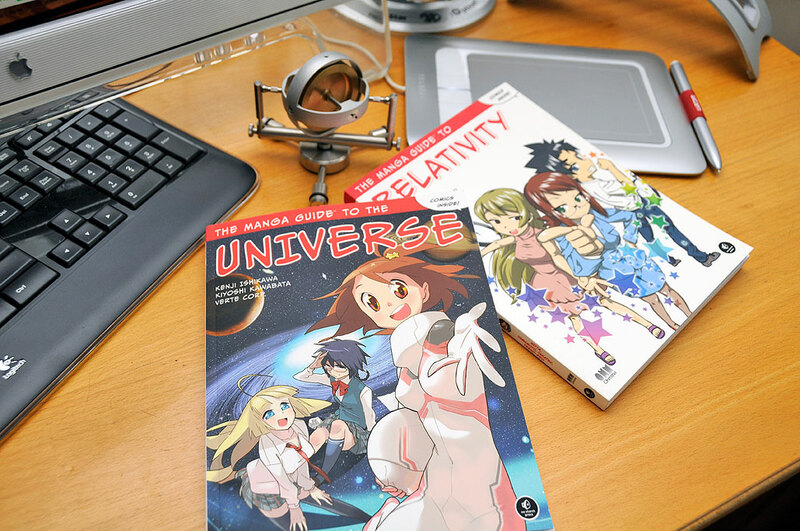 In June, we recommended the Manga Guide To Relativity as one of the books for our Summer reading list. It was a great read and it did not take long to finish. We were left wanting. Fortunately for us, the Manga Guide to the Universe showed up in our mailbox soon after. The Manga Guide to The Universe is for anyone interested in cosmology, from high school students to adults. Like the other books in the Manga series, the subject matter is told in the style of a graphic novel.Unlike a typical comics, there are more detail treatmentsof the subjects along with the fun storyline. The story follows Gloria and her friends Kanna and Yamane as they try to make sense of things such as dark matter, cosmic expansion, and the origin of the universe itself. By the end of the journey, the crew will understand how size and distance are measured, how some of the ancient ideas were proved and disproved, how supermassive black holes formed, and what will happen when we collide with the Andromeda Galaxy in the next 7 to 8 billion years. Even more amazing is the readers will also have a chance to consider what things are like at the edge of the universe, ponder the possibility of a multi-verse, and what will ultimately become of EVERYTHING as we know it! How cool is that? So if you or anyone you know are into astronomy, cosmology, or astrophysics, the Manga Guide to the Universe will be a welcomed addition to their library. It is a fun and educational Summer read, even if Summer is almost over.